This week we take to figuring out how to get animation pre-shoots happening in time for the main video shoot hopefully by end Nov (or early dec) . In the meanime, I shall be praying to all superhumans, gods and psychic spiders that this happens according to schedule. Oh…and my manager has convinced a very cool principle to let his choir sing about cults and murders. YAY – All part of the glorious, epic efforts of finishing this monster of an album. In my last post I mentioned that it was quite a pity that most of female related horror had gone the way of Sadako and I had some to add from Singapore, which is pretty much where I grew up. A lot of it is pretty much oral history, from neighbours, grandma, family etc and rather than have it ferment and mutate at the back of my brain from forgetting, it’s good I get to place them here. I grew up in the far northern parts of Singapore, where, compared to the rest of the island, was quite underdeveloped. It meant that I was still living within walking distances to the last remaining Malay Villages (aka. Kampungs) until I was in my early teens. Dad used to be able to take us into the villages so we could have a look at village life, we had a great time exploring empty atap houses, broken down schools and old chinese/malay graves…oh..and we always could buy the freshest vegies. No, we don’t eat things that grow on graves, I can hear you you know. Oh…and did I mention, “The goat ate my homework” would be an excuse worth trying, given that goats really did crowd around the bus station where I waited at to go to school. (Though most times, I got rides from Dad) Also, if you listened carefully to the old men gathered at the nearby coffee houses, you would understand that they were verbal curators to some very strange tales which was always good fodder for a very young brain. Then the villages got torn apart and replaced by army bunkers which basically broke my pre-pubescant heart. Of course, these villages still exist on a sister island called Palau Ubin and some rare parts of Singapore and I’m thinking a visit to these places have been long overdue. Like many Chinese families that settled in South East Asia, eventually, you mix DNA, cultures languages and spiritual beliefs. In my case, we become very familiar with the Malay, Chinese, Indian and Western realms of ghouls, demons and other supernatural in-betweens. Not too surprising to find that we share alot of ghostly equivalents with our South East Asian neighbour, Thailand as well, since tales do travel and ghosts are assumed to be a bit less aerodymamically challenged. Video below is an overview of some of the best ghouls in South East Asia. In many cultures, the definition between demons and ghouls blur after awhile. These beings I will mention here are no Sadako. Since Sadako is like Spice Girls for ghouls and is about to die the gruesome death of media exposure, these ghosts will trump her on the scary ratings simply because they are not her. IMHO of course. 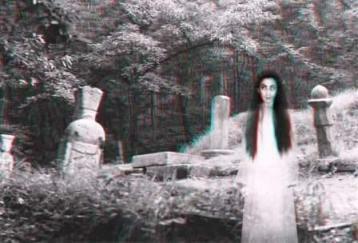 I shall start with Malay ghosts first…because they are my favourite on the gory/scary scale. You might soon see why. The source of stories come from the elders in the family and 3 brothers who have gone to serve in the army (which is apparently a hotspot for hauntings or major nightime hallucinations), oh and the internets. I could send you the best forum links for these things, but they are coated with a strong dose of the local lingo – which, unless you speak Singlish, Hokkien, Mandarin and some bits of Malay, is guaranteed to sound like absolute gibberish. And if you must go to the source to see for yourself. This is a good one to try but I wish you luck. Kyochiro’s Ghostly Tales. is, without doubt, my absolute favourite. Otherwise you might want to let your Royal Madness play your guide on these matters. Like most oral records, it is in the nature of folklore to behave like crazy DNA with jumping genes -These tales do not quite stay as one ultimate CORRECT version – but rather, come in variety packs that point to some general idea of story. So bear with me while I try not to confuse you. yeah? Here’s 4 of my favourites. Ghosts that return to attack nearby villagers, pregnant women and children because they died of childbirth and are generally pissed off about what they cannot have. Sad really 🙁 Malay ghosts have a common association with a flower named “Frangipani” and if they are anything to go by, you will fear them after these tales as well. The locals will say: Female who died at child birth. Habitat :Banana trees, or in Tree tops. Pre attack : A beautiful woman, in white. Long hair. 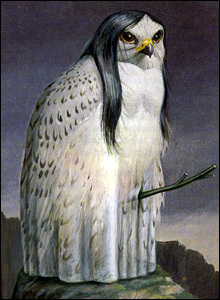 (Long hair is a pre-requisite in most female ghosts), In scarier versions, they are shapeshifters. Attack Mode: Scary, old wrinkly with long black nails, long fangs. – Digs nails into your gut, makes spaghetti out of your intestines. Loves internal organs. If after revenge on certain male individual: will rip out/ devour sexual organs…ouch. – Locates prey by smell of clothes – that’s why it’s a bad idea for clothes to be left out to dry overnight. Also said to be able to respond to specific invitations. Can we tame it? : YES WE CAN! Driving a nail into the back of the neck, where the feeding hole is, will turn it back into a beautiful woman. It will even live normal lifetimes as nice wifey. (Gotta keep the nail in though, removal of nail causes a resurgance of organ eating tendencies. Can we frighten it? : YES WE CAN, she’s apparently afraid of naked women. So erhm…when you see a multi-fanged woman after you with long nails. Ladies…you got the power. Gentlemen…RUN. Hollywood Equivalent: Banshee/ Vampire Hybrid — variation of Pontianak. Feeds on: More specialised – loves blood. Attack Mode: Ugly, long nails, red eyes etc. Sounds like: Arrival is heralded by the sound of babies crying. Can fly, shrieks like a banshee. Break off the teeth and hair of the langsuir and shove the mixture into the feeding hole, also at back of neck. Will live normal lifetimes as nice wifey. I’ve heard legends that tell of a Langsuir living amongst normal homo sapiens for a good long and then turning back to her true form when she dislodged her teeth/hair mixture in some random ancient dance party. Can we prevent it? : (other than making sure that women get the best post-natal care possible) YES WE CAN! Stuff eggs under armpit (prevents her from flight) , marbles in mouth, needles in palms. All these reduce post death aero-dynamism. In many versions, the dead woman suddenly re-animates, becomes an owl and flies away. Then returns at night to feed. Other versions, dead woman re-animates, flaps arms and flies. No owl-ey transformations. Detachables…More than meets the eye. My late grandmother mentioned these after a long badger-badger-badger-tell-me-a-ghost-story-prettyprettyplease session, although I didn’t know the name of this ghost at the time of the stories…). The locals will say: Ghost that separates. Grudge: Was some holy woman/ priestes – Broke her neck in shock because someone ninja-ed into her abode while she was meditating. Apparently, while soaking serenely in a vinegar Vat, a man popped in, and asked her what she was doing. In extreme shock, she jerked her head upwards so violently that her head came out along with rest of internal organs. She is afterwards (understandably so) pissed off as hell. Some legends have it that the detachable head thing happens when women (why is is always women) spend too much time drinking young virgin blood/ practicing black magic. Never really said why, but maybe a magical non-wrinkley existence probably draws resources from other parts of the body, weakens neck-spinal cord muscle connection. etc etc…. Something of note: Apparently vinegar soaking features quite abit in purification rituals. Pre-attack mode: Older yet beautiful woman, smells strongly/ slightly of vinegar. Has fangs, shrieks alot before drinking victims’s blood. Entrails also strangle/ constrict victim Cobra style. Can we prevent it? : YES WE CAN! This is why your mother told you not to sneak up on people. You can prevent her attack on little kiddies by using thorns from jeruju grown from her own entrail juice. Lace doorways with it. There are versions that say that she can get around that by coming up under floorboards. Grandma’s version: she can get you by crawling up through erhm…sewage portals. Can we kill it? : YES WE CAN!! Hear headless body is the weakest part of her. Find her lair, mix crushed garlic into her vinegar vat, where her detached torso rests. Instant kill. Note: I know heaps more detachables. My favourite species. They are SO like biological Constructicons from the way they detach and reassemble bodyparts. *love* Contemplating an entire post devoted to the detachables — If minions request. Ok, I planned to keep the post to ghosts with grudges, but really, the 2 below are too funny/ scary to not mention. Habitat : Unknown – Comes out in the evenings. Mammaries are also eternally rotting, overcrowded with maggots. What then? : Don’t go out wandering at night.- You can see how she’s the perfect bogeywoman for little kiddies who don’t return home in time for dinner. Not sure about the young men bit though. Looks like: Ghost with Huge testicles that hang off like a tumorous kangaroo pouch. Appendages are said to be rotting and filled with maggots. Short version: Death by TEABAG!!! Long: His testicals are also rumoured to be portals to other worlds. Also unlike normal humans, his appendages are apparently highly mascular and can hide/ squash his victims to death. It is said that he comes out in the evenings, goes for young men and little children, and literally “absorbs” them with his privates. A fast moving creature, he escapes faster than the speed of light – before NASA captures him and uses his bits as a teleportation devise, after the deed is done.